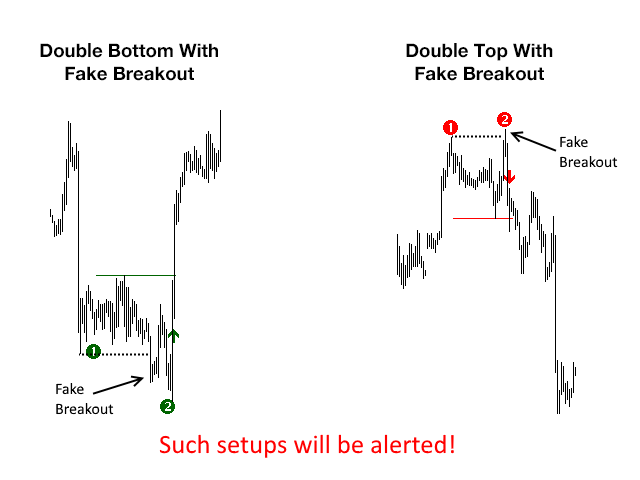 This indicator scans for you up to 30 trading instruments and up to 8 timeframes for occurrences of the high probability reversal patterns: Double Tops/Bottoms with fake breakouts. 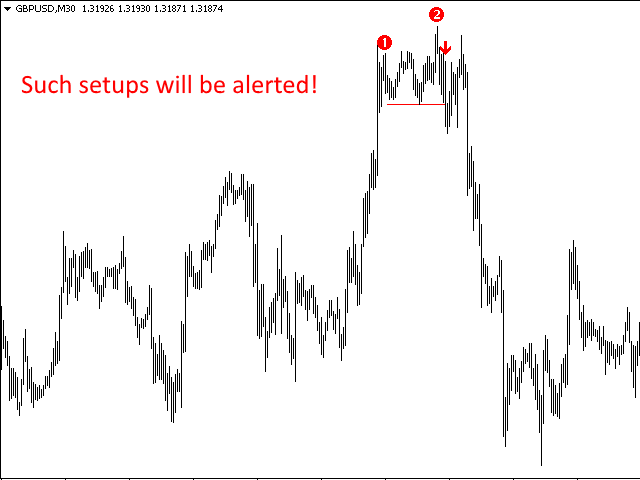 Please read also the blog post "Professional Trading With Double Tops/Bottoms And Divergences!" which explains the concepts behind the ULTIMATE Double Top/Bottom indicator and how you can use a professional top-down approach. 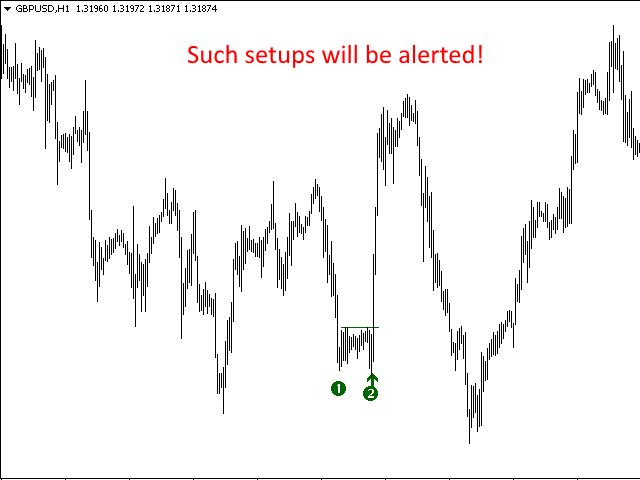 You can get alerts via MetaTrader 4, email and push notifications at the moment when a signal occurs on any timeframe and any trading instrument you have configured. You need to install this indicator on only one single chart. The indicator then scans up to 30 instruments and 8 timeframes automatically for you! 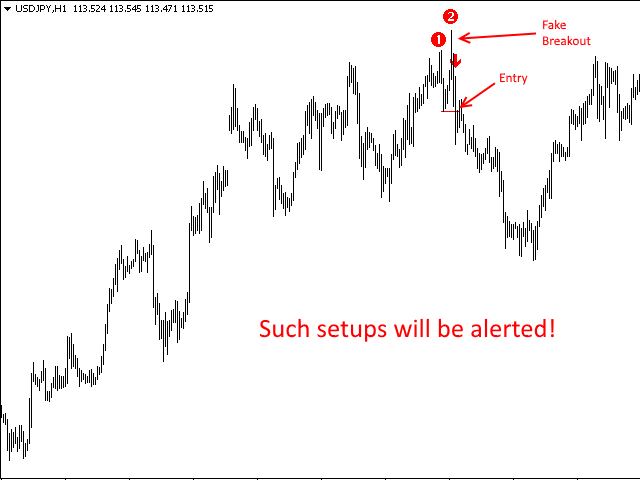 When launched in the strategy tester of MetaTrader 4 (when you test the demo version), the indicator will draw the signals on the chart. This feature is added, so that you can evaluate the signals which will be alerted in real time. The purpose of this indicator is to alert signals so that you will be able to trade these signals even with a normal day job. Therefore, on live charts you will only see the dashboard view as shown in the video. This indicator will NOT draw signals on live charts. Points out exactly what it says it will. Masterfully done. Don't think twice, the effort put in shows. The scanner is very accurate and it is better to couple it with the Ultimate Top and Bottom Indicator. But where the scanner is incredible is that you can have until 30 custom pairs to be scan, on 8 timeframes !! No lag and easy to configure. Good good. I have been following Mike for a long time. I did that since it is very hard to learn anything new really after 22 years in Forex. And after testing the non-commercial indicator which you can download free from: http://perfecttrendsystem.com I realize that we do pretty much the same thing. And with so much content on the sit. This must be a winner. One of the few indicators you really want. Price is king. But being alerted when you should watch price is also King! Just purchase The Double Top/Bottom scanner. 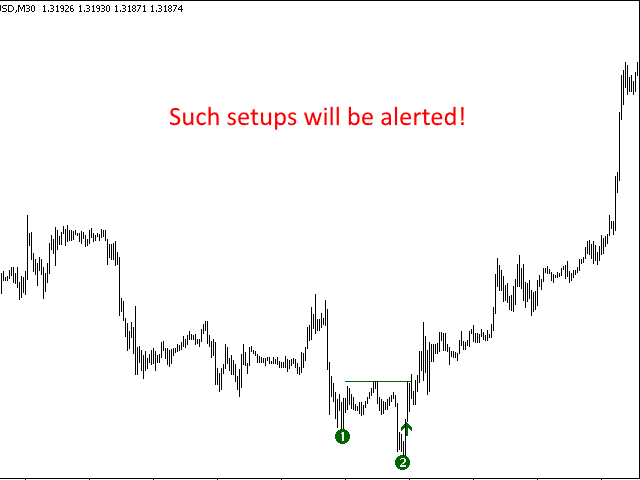 It scan all charts, all timeframes that you configure from within your MetaTrader. Try find these pattern on 8 timeframes and like 45 assets and you will go nuts. After 5 years of trading, i can say there is not a lot of profitable stuff out there. This signal is my favourite. And... yes it is profitable if you do what Mike does recommend in his videos/blog! Also to note: there is an Telegram channel - Mike and a view very nice Admins (Ali/Mustafa) were helping me a lot. I do recommend this without any hesitation. Try the free indicator, and backtest the results! No repaint. And when used properly, this Double Top/Bottom Scanner proves itself to be a very effective and most helpful tool! Takes away the need to be glued to the monitor, flipping charts around different pairs and time frames hunting and waiting for Double Top/Bottom signals to appear. Great job! Amazing products both the indicator and the scanner. Scanner just help you in terms of "not switching charts" every second. In scanner you can use the custom pairs and choose which timeframes you want to check. In addition Mike (author) is very helpful and happy to answer your questions. Few products in the market provide so good quality. Thank you Mike! Keep it up with more good products. Automatic setting of chart properties like colors and scale fix. Better user experience. No manual configuration of the chart properties needed anymore. Optimized calculation. Faster/less CPU usage. Bug Fix: in rare occasions, it was possible for the scanner to give signals after the candle closed, instead of generating it directly when the neckline is touched. Now all signals are generated directly when the neckline is touched. Bug Fix: It was possible that the scanner did not give alerts under some conditions. Enhancement: Now, the last closed candle is also checked for signals.